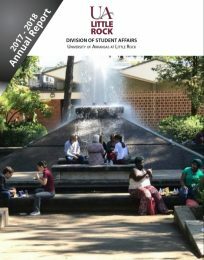 Whether working with students through the process of becoming a Trojan, to creating a college experience helps students connect and reach their full potential, to celebrating with graduates as they cross the stage at commencement, our impact is felt across the University of Arkansas at Little Rock. Our values of inclusion, integrity, advocacy, and collaboration are the lens with which we view everything we do for students, who are the most important people on campus. We work closely with faculty, staff, and the community, fostering every student’s academic success and goal attainment. I invite you to learn more about Student Affairs and the positive impact of our division’s success. To use a student-centric approach that provides a supportive, innovative, and seamless environment in which students can realize and achieve their goals.